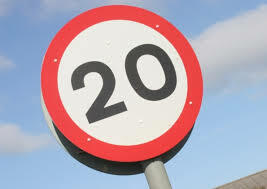 20mph speed limits – have your say! Steve Reed MP is urging residents of Selhurst and South Norwood to have their say in a consultation on new 20mph speed limits for local roads. Croydon Council wants to know if residents support lower speed limits after a similar scheme was successfully introduced in Thornton Heath and Upper Norwood. A 20mph speed limit was introduced there last year after local residents backed plans. There is evidence that lower speed limits reduce traffic accidents and makes streets safer for pedestrians and cyclists. You can have your say by clicking here.